5-star tight end Isaac Nauta is motivated to succeed to take care of his family. 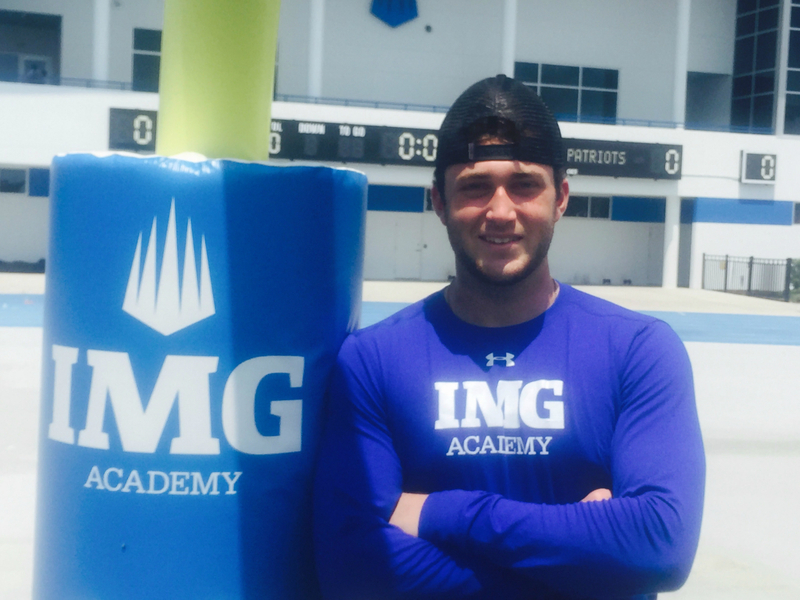 BRADENTON, Fla. — Isaac Nauta would not change one day of his 18-year-old life. The nation’s No. 1-rated tight end is one of UGA’s top remaining recruiting targets. 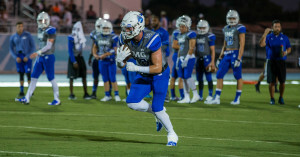 The 5-star prospect is getting a private school education in South Florida’s IMG Academy at a price tag of at least $76,000 per year. 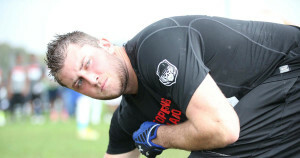 Nauta was a part of three state championship teams at Buford and his new team was rated No. 2 in the nation by USA Today. 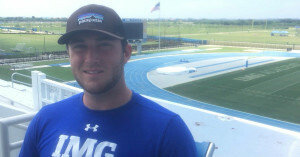 The 6-foot-4 standout tweeted this summer that he would sure like to visit TCU. In less than a day, he had a scholarship offer. His life must even feel like that Florida sunshine, but he’s also survived months in which his family lived off the generosity of a food bank. His father Jay was once a successful financial planner who provided his family a beautiful home, new cars and even two private planes. It was a blessed life right up until Isaac was eight years old. That’s when that bank balance took a devastating hit. The family found a way to be thankful for what they could still afford. When his family moved to Florida for a new venture, they were building a multi-million dollar home. It all went away with the market plunge. The two private planes. 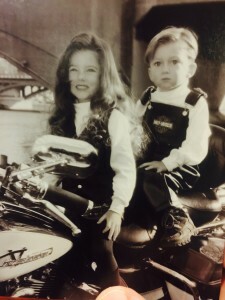 The two Harley Davidsons. All gone. That dollar store delicacy was sherbert. The Nauta family sustained itself with a Jacksonville food bank for approximately nine months. That all happened when Isaac was 10 to 11 years old. Isaac sounds like he’s 30 when he reflects on those days. It was “super embarrassing” for him, but it was not a time to be selfish. Isaac even encouraged his parents during those times. “We remember him even saying back then that everything happens for a reason,” his father Jay Nauta said. How does a 10-year-old maintain a perspective like that? His family feels it was because his mother, Lisa, believed in the power of purposeful prayer. Isaac and his older sister Elle are extremely well-rounded for their age. That’s because of the best investment his mother ever made. She put all of her time into raising them. She asked Jay to be an “awesome provider,” which allowed her to stay at home to raise their children. Lisa was a 5-star parent. She read everything she could. The family kept prayer journals. She threw the ball around and hoped to sow scripture and faith into their lives. She did every bit of that and then some. Lisa remembers when Isaac was in preschool. She went to pick him up and her four-year-old son was off in the corner away from the pack of silliness. Those chronicle prayers to “shrink his stomach” and “not be lazy.” They convey a core desire to never disappoint his parents. Lisa can honestly say her son has been disciplined less than five times in his life. His thoughts on those days cannot be easy to recall, but he shares them with little struggle. He has moved eight times in the last nine years but spoke openly about those days because they represent an answered prayer. Isaac prayed back then for God to use his life as an example for others. He knows another kid might also be going through a time when the dollar menu also means a great deal. Elle’s college friends wish they could meet a guy like him. His favorite book was written Ernest Hemingway, but he’s not perfect. Isaac engages in smack talk like any other player, but just the sort that Tim Tebow would approve of. And Isaac knows he cusses too much in the culture of a football team’s locker room. But when he prays, he asks for forgiveness about that. The Nautas love the state of Georgia and feel it is a beautiful place to live. Lisa likes the friendliness of the South compared to their stoic Michigan roots and doesn’t mind the warm weather either. “Georgia feels like family and it feels to me like it is very conservative so it feels very familiar,” Lisa Nauta said. Isaac will likely sign with UGA, Michigan, TCU or Southern Cal. Family ties can be applied to three of those programs. His immediate family lives less than an hour away from UGA in Dacula. His sister is a junior communications major at Kennesaw State. His parents are from Michigan, and there are plenty of Wolverines in the family back home. His uncle Joel Smegnee — who spent 11-plus years in the NFL — is one of the core mentors of his life. He lives near the TCU campus. 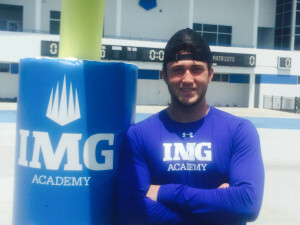 His transfer to IMG Academy can be viewed as a pre-test for his college experience. Isaac was heartbroken this spring when he was separated from his immediate family on Easter, Father’s Day, Mother’s’ Day and his 18th birthday. Elle has seen a completely different “homesick” and “vulnerable” side of her brother since he’s been away. Isaac sent a text to his mother that reveals his sensitive side. He said it killed him on his first Mother’s Day away from home. He wrote to her that he will always have her back and that he doesn’t tell her that often enough. He told her to be patient and he would give her every one of her wildest dreams. He even asked her to stay strong. 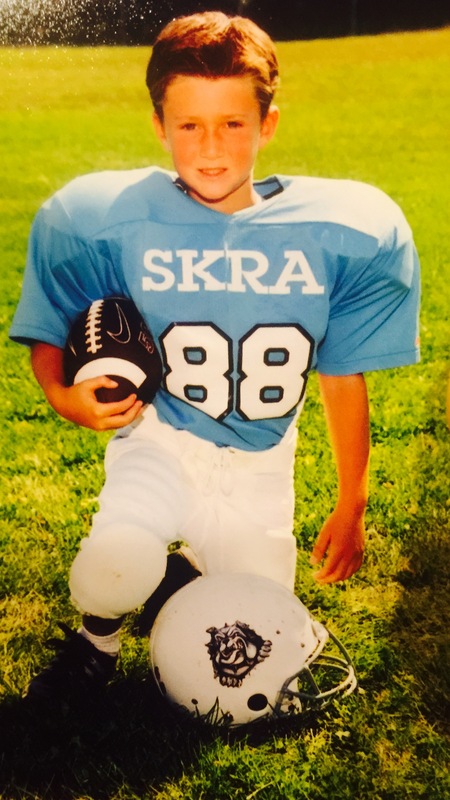 His motivations in football come down to two things: 1) He loves the competition and physical play and 2) He wants to play pro football in four years so he can build his parents a new dream home. That would remove every financial struggle they still experience. 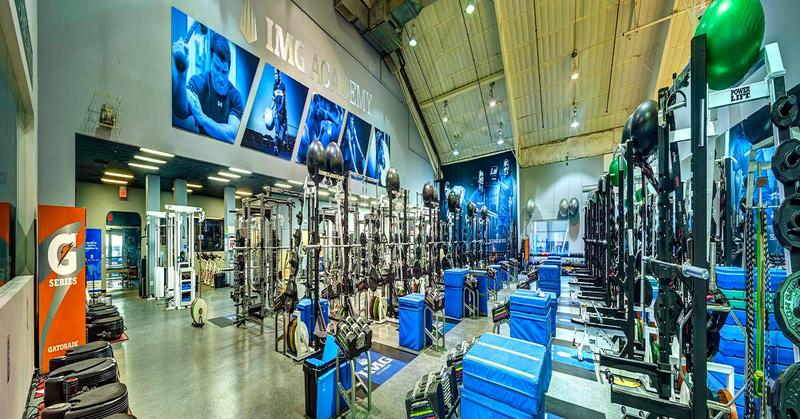 His roommate Jack Wegher has the distinction of being the only three-year player in IMG Academy football history. He’s seen three waves of elite players arrive on campus. How does his closely-knit family feel about UGA? They are on the record that they do not plan to move regardless of where Isaac goes to school. The Nautas are attracted to Richt’s philosophy about building men but want to see more big victories. They’ve heard the perpetual rumor about Richt being on the hot seat for knocking on the door every season but never breaking it down with major championships. The UGA depth chart stacks up well for him to play right away, but there’s something even more vital to the school’s chances. Isaac is extremely interested in working with new UGA offensive coordinator Brian Schottenheimer and his two tight end scheme. Jay Nauta said Auburn, Oklahoma State and TCU have said they will create positions for his son to earn immediate playing time. But football does not come first in their family. His parents and his older sister will let it be his choice. They realize he’s known the game like an expert since he was playing video game football on PlayStation at the age of two. They won’t offer their opinions unless they are asked to. Isaac will also not take away his freshman year of high school. That’s when three people he knew died. It affected him deeply. He was talking to a good friend, Adam Smith, in the hallway about whether or not LeBron James was better than Kobe Bryant. Smith collapsed later that day while doing preseason conditioning for the basketball team. That was the same year one of his coaches at Buford died. Another friend’s brother also passed away playing basketball. That’s why winning the state championship his freshman year at Buford still ranks as the happiest moment of his life. That team overcame several trials. He even had his first few breakout games in the playoffs going both ways at defensive end and tight end. He had perhaps the worst game of his life last Saturday. The 242-pound prospect dropped two passes and the last one would’ve been huge. Those were the first drops he could recall in a game. His hip flexor was bothering him and IMG also lost. He may or may not have suffered a minor concussion. He still found time to offer up a genuine smile and pose for pictures with a few kids after that game.